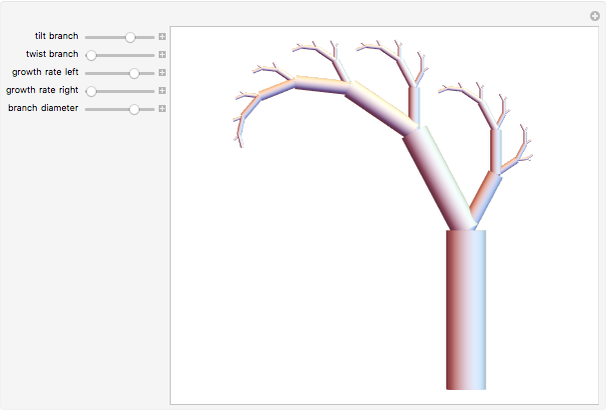 Two branches are placed on a vertical cylinder (the trunk of the tree). 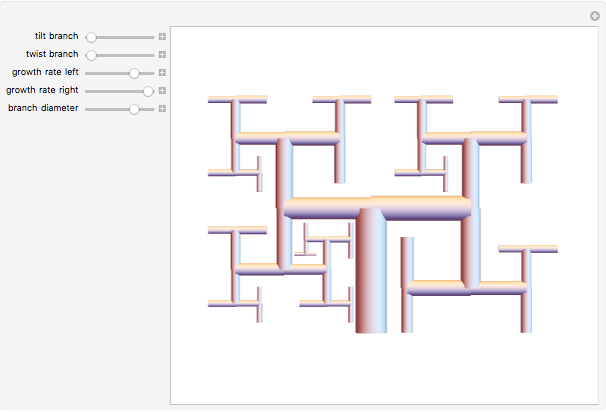 One of the branches is a T-branch and the other is a single branch. The size of this unit is reduced and placed on an identical vertical cylinder as a new branch, together with a single branch on the other side, forming yet another unit. This procedure is repeated to produce a Fibonacci tree, in which the number of final branches are the successive Fibonacci numbers. 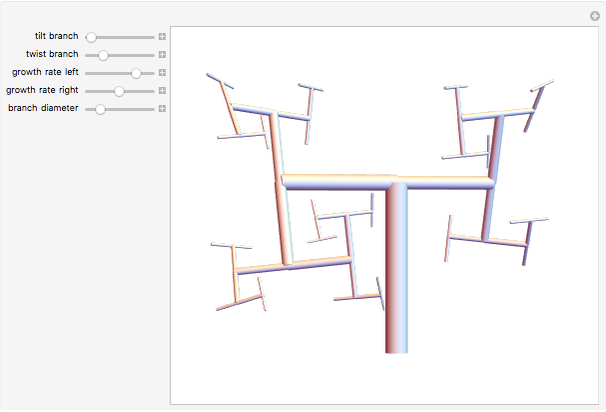 You can tilt or twist the branches to simulate the structure of biological structures.